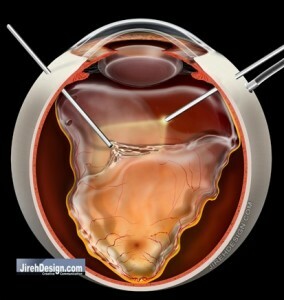 Vitrectomy for Retinal Detachment | Retina Specialist, Fairfax, Va. Repairing a retinal detachment with vitrectomy has become more popular. Vitrectomy can be viewed as fixing a retinal detachment from the inside of the eye whereas a scleral buckle fixes the retinal detachment from the outside.